You can frame anything or anyone within just about anything. 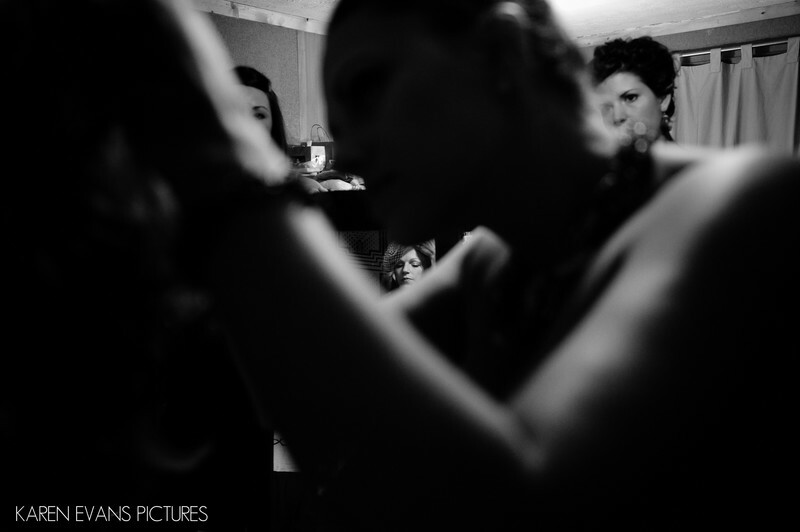 In this photo, I chose to frame Megan's face within the arm and a group of bridesmaids helping to adjust Megan's veil. That most of the photo is dark adds a lot of drama, especially with the light hitting mainly only Megan's face, which is the focus of the photo to begin with.Keywords: at home (75), jewish (177), outdoor wedding (249).